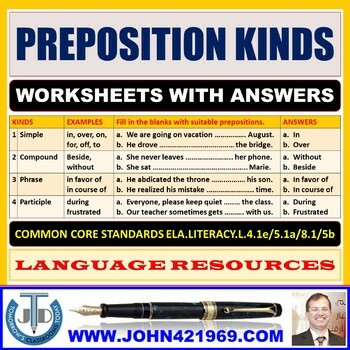 A package of 11 worksheets with answers on preposition kinds. 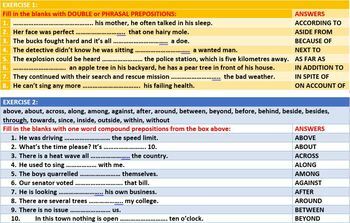 Naming preposition kinds based on meaning and examples. 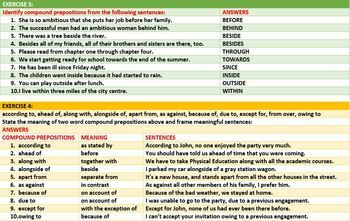 Identifying prepositions and their kind. Demonstrating knowledge of preposition kinds in writing. 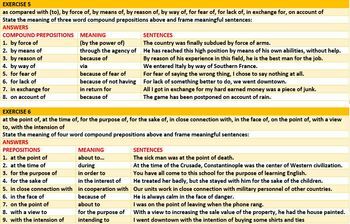 Stating the meaning and framing sentences with prepositions.